All good work, including a pugnacious unbeaten knock of 157 by Subhranshu Senapati, his 64-run last-wicket stand with Dhiraj Singh and a 29 run first-innings lead, went in vain as Odisha went down to hosts Jharkhand by two runs in their Ranji Trophy Elite Group-C match that ended on a thrilling note on the fourth and last day at JSCA International Stadium Complex in Ranchi today. This was second defeat in five matches for Odisha, who slipped to sixth position in the group table with 13 points in their kitty. Odisha will next meet Team Rajasthan at Vikash Cricket Ground in Bhubaneswar from December 14 to 17. Chasing a challenging target of 260, Odisha came tantalizingly closer to what would have been a sensational victory before folding up for 257. 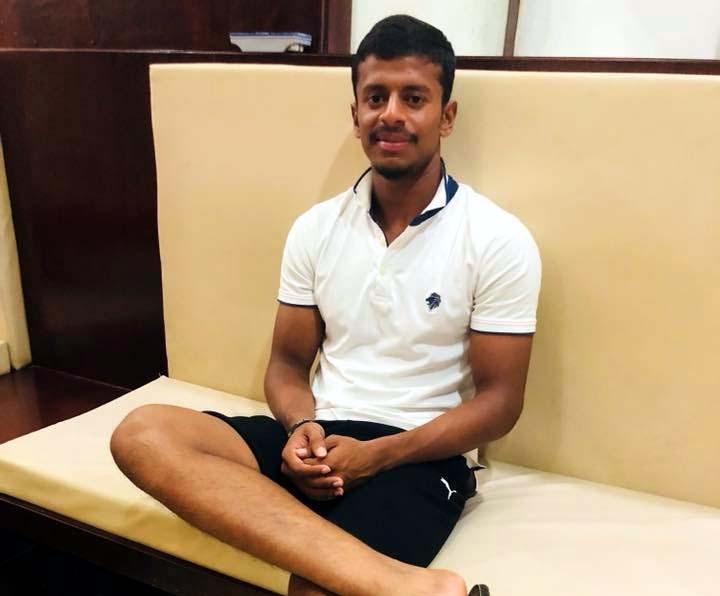 However, Senapati made Odisha proud for his majestic knock, which came off 321 balls and was studded with 12 boundaries and six sixes. This was the fourth first-class ton for Senapati, who was rightly adjudged the man of the match. But for the Senapati knock, the match would not have been as thrilling as it turned out to be. He engineered the recovery of the second innings of Odisha with three substantial partnerships. Senapati first put on 53 runs for the fourth wicket with captain Biplab Samantaray, added 49 runs for the ninth wicket with Basant Mohanty and followed it with 64 runs for the last wicket with Dhiraj Singh. In their second innings, Jharkhand were all out for 288. Saurabh Tiwary made the target difficult for Odisha, hitting an unbeaten 132 and stitching together 78 runs for the last wicket with Ashish Kumar. Among Odisha bowlers, Rajesh Mohanty was most successful in the second innings, capturing four wickets for 87 runs. Earlier put into bat, Jharkhand made a decent start, compiling 57 runs for the opening wicket. But the home team crumbled thereafter, falling prey to the combined onslaught of pacers Basant Mohanty and Rajesh Mohanty and were all out for 172. The former scalped five wickets for 44 runs, while the latter picked up three for 51. For stalwart Basant Mohanty, this was his 19th five-wicket haul in first-class cricket. But joy of their impressive bowling performance proved to be short-lived for Odisha as they themselves experienced a disastrous start, losing three wickets with only seven runs on the board. However, half-century each by Anurag Sarangi and Suryakant Pradhan helped Odisha take a 29-run first-innings lead, mustering a total of 201. Sarangi became the top scorer with 58 (155b, 8x4, 1x6), which was his sixth first-class fifty. But what was remarkable in the Odisha innings was a career-best knock of 54 by pacer Suryakant Pradhan. The sparkling knock, which came off 41 balls, was studded with four boundaries and as many sixes. Bowling: Basant Mohanty 18.1-5-44-5, Rajesh Mohanty 22-4-51-3, Suryakant Pradhan 12-3-27-0, Dhiraj Singh 17-6-28-1, Govinda Poddar 2-0-9-1. Bowling: Ashish Kumar 8-2-21-1, Rahul Shukla 17-7-40-2, Varun Aaron 15-3-51-2, Rahul Prasad 8.4-1-42-2, Utkarsh Singh 1-1-0-0, Anukul Roy 6-1-35-2. Bowling: Basant Mohanty 26-6-54-2, Rajesh Mohanty 25-3-87-4, Suryakant Pradhan 18-2-67-2, Dhiraj Singh 15-1-52-2, Govinda Poddar 8-1-21-0, Abhishek Raut 2-1-1-0. Bowling: Rahul Shukla 21-3-43-2, Ashish Kumar 11-1-36-1, Varun Aaron 26.3-7-57-2, Rahul Prasad 20-2-64-1, Anukul Roy 23-7-51-4. PHOTO: File image of Odisha batsman Subhranshu Senapati.